A workstation is a special computer designed for technical or scientific applications. Intended primarily to be used by one person at a time, they are commonly connected to a local area network and run multi-user operating systems. Workstations offered higher performance than mainstream personal computers, especially with respect to CPU and graphics, memory capacity, and multitasking capability. Workstations were optimized for the visualization and manipulation of different types of complex data such as 3D mechanical design, engineering simulation (e.g., computational fluid dynamics), animation and rendering of images, and mathematical plots. When we hear workstation ,what comes to mind is the clumsy looking desktop setup of the old. I am glad to inform you of several mobile workstation Laptops available for your ideas on the go. Power and performance go hand in hand with this genre of notebook. Whether it’s an engineer working in a construction trailer or an animator creating the next anime cartoon, when a worker needs the utmost in portable power, only a mobile workstation will satisfy. With the fastest processor, loads of RAM and a take-no-prisoners graphics engine, these are the power elite of the notebook world. 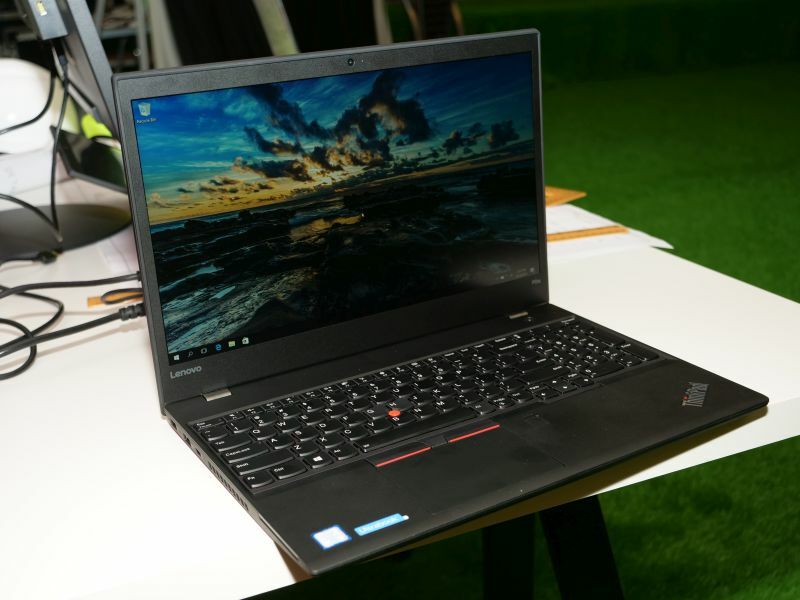 The key here is that mobile workstations typically get the best of everything, starting with a high-end Intel Core i7, Core i7 Extreme or Xeon processor. While some lower-end models come with HDDs, higher-end devices have ultra-fast solid-state storage systems. At their heart is a discrete graphics accelerator from AMD or Nvidia that takes the load off the processor when doing anything from video special effects to rotating CAD images to creating interactive graphs. Look for between 2GB and 8GB of dedicated DDR5 video memory. You’ll also want to load up on system RAM — 32GB or more — ideally with Error Control and Correcting (ECC) circuits that can prevent common data corruption problems. The displays range from 14 to 17 in., with HD (1920 x 1080) resolution being the entry level and ultraHD (3840 x 2160) quickly catching on. Touch-screen systems are still rare in this category. An important feature for designers is that many workstation makers include calibrated screens, so chrome yellow in a poster design really is the right color. Meant for everything from engineering analysis to interpreting oil exploration data, these systems typically come with Windows 10 Pro, and many are pre-tested and certified to work with graphics applications from the likes of Autodesk, SolidWorks and Adobe. As you might imagine, they also do quite well for writing a memo in Word, sending an email or putting together a PowerPoint presentation. These systems don’t skimp on the basics of corporate security. Most have TPM, vPro processors and some biometric authentication method, like a fingerprint scanner or a Windows Hello-capable camera. With large screens and all that power packed inside, mobile workstations are typically so big and heavy that they are akin to desktop systems, sometimes weighing 7 pounds or more. Yet, unlike a 20-lb. desktop workstation with separate monitor, keyboard and mouse, mobile workstations can travel, albeit clumsily. Most workers will use them to bring illustrations, videos or CAD designs to meetings down the hall or to bring work home for the weekend. The payoff here is that their size allows room for a mix of USB 3 and USB-C ports as well as HDMI, Ethernet and sometimes high-speed Thunderbolt; others relegate a Thunderbolt connection to a dock. You might also find older ports such as VGA, as well as SD card slots and smart card readers. 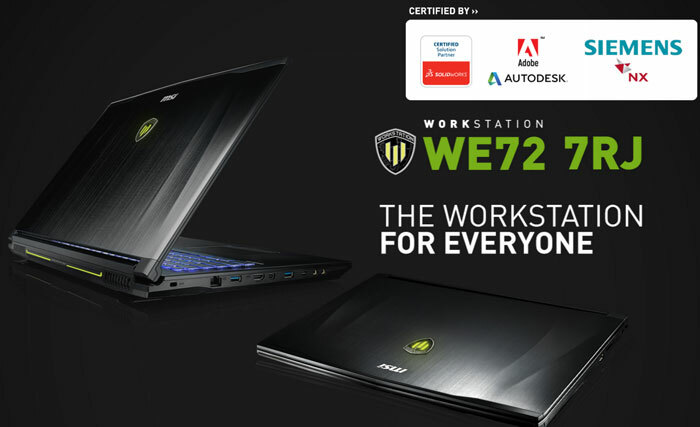 Mobile workstations also come equipped with 802.11ac Wi-Fi and Bluetooth 4.2 for wireless connectivity. You’ll often find nice-to-have features such as backlit keyboards, high-end audio systems and optical drives. Many models offer optional docking stations that provide additional USB-C, Thunderbolt, Ethernet, HDMI and/or DisplayPort connections. With one, a designer or programmer can have a wraparound monitor array. An outlier in the mobile workstation category is the 15-in. MacBook Pro, a favorite among design professionals. Although its slim profile, relatively light weight (4 to 4.5 lb. ), and paucity of ports make it seem closer to an ultraslim device, the specs for the higher-end models are in line with the systems in our workstation group, as is the starting price of $2,400. These models offer one cool feature that PCs don’t: a programmable touch bar that replaces the static function keys for getting to settings, apps and even emojis quickly or interacting with key apps. Obviously not for everyone in the enterprise, these highly capable devices are for employees who have to churn through computational problems, work on CAD images of the company’s next-gen widgets, create videos, or perform other processor-intensive tasks while remaining (somewhat) mobile. Target audience: Engineers, animation artists and other workers who need to create detailed video work or churn through processor-intensive tasks. Screen size (diagonal): 14 to 17 in. Weight: 4 to 7 lb. Buying tip: Load it up with as much video memory as you can afford for superior screen action. Is hybrid Tablet/laptop best for Offices? Do you really need an Ultraslim laptop at Work?